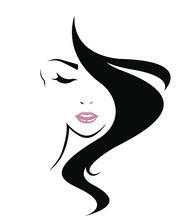 Empire Hair Co. is Austin's Kerastase salon offering cuts, color, keratin, and pretty much anything hair related. We have a beautiful boutique now as well including jewelry by Mantraband, Sorrelli, and B.B. Lilah, body care by Lollia, and every product Kérastase makes ! Open daily for shopping, and we host occasional LuLaRoe pop up parties! Empire Hair Company is made up of some of Austin's most talented hairdressers! "Empire is the best and I am blessed to have Nicole as my hair stylist and friend. I always love my hair and get compliments everywhere I go for the cut and the color. I am currently in the middle of getting chemotherapy and although I am not going to lose all my hair, it has gotten thinner. Nicole knew what to do and my hair looks great and she helped me feel great. Love her products and the salon and love sweet, funny and talented Nicole! Thanks for keeping me looking and feeling good! : - Holly W.
Buy 3 Kérastase products, receive the 4th (of equal value) FREE! Buy 3 Lollia products, receive the 4th (of equal value) FREE! Buy 3 Mantrabands, receive the 4th FREE!